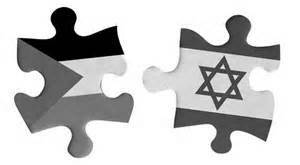 Both the Israelis and the Palestinians have to get over their aversion to loss. This is difficult because research on cognitive processing and decision-making indicates that people fear loss more than they value gain. Both sides have tried to minimize loss rather than take the risks of possible gains. The two-state solution – whose death is premature and has been exaggerated – will require both sides to operate against their natural inclinations. But the two-state solution is the only real answer. It’s the only way both groups maintain their identity and have the opportunity to cultivate their own history, culture, and literature. And it certainly is the only way Israel remains democratic and Jewish. There is no way Israel can be a reasonably ethical liberal state if it has to lord over a minority group that challenges the nature of the state and whose religion and national history is contrary to the state. Below is an abbreviated account of some basic assumptions and principles that will facilitate the establishment of two states. Again, for this to work both sides have to orient toward gain rather than loss. For more and related information see the Quartet report. The Israelis and the Palestinians must begin by mutually agreeing and understanding that peace and solutions to their problems cannot be achieved with force. They can only be achieved by consistent recognition of both sides and freedom from violence. Both sides should reaffirm the unacceptability of acquiring territory by force. This includes the settlements whose legal standing might be a matter of argument but clearly are a serious threat to any comprehensive peace. The matter of refugees must be settled and both sides will lose a little. Israel will provide compensation and readmit a small number of people, and the Palestinians will surely not flood the state of Israel with large numbers of descendants and families claiming property rights. Efforts at Palestinian state building must be recognized and supported by international organizations as well as Israel. Palestine must make progress on the matter of developing institutions (educational, cultural, state) that are stable and consistent with the constitution of the state. All planks of a negotiated end of conflict are facilitative of the desire to establish democratic, independent, sovereign and prosperous states. Clear recognition of borders along the 1967 border guidelines with the acceptance of agreed-upon exchanges and swaps. An agreement as to the status of Jerusalem which might include sharing Jerusalem as the capital of two states. Firm and fair agreements on outstanding issues related to water, electricity, and environmental concerns. Firm restraints on the incitement of violence. For some period of time after negotiated agreements the two polities will engage in trust and confidence building designed to develop an atmosphere of cooperation. The two sides will work to achieve the full potential and possibilities of neighborly relations. This will include the development, for example, of trade and educational exchanges as well as systematic efforts to learn about the other culture. Of course, many of these will be difficult to achieve and there will always be those who claim naïveté with respect to actually solving this prototypical intractable conflict. But if you have another way, show me. Posted on July 18, 2016, in Peace and Conflict Politics and tagged two-state solution. Bookmark the permalink. Comments Off on Moving Ahead with the Two-State solution in Israel-Palestine.